The Test and One-day thrashing at the hands of India has prompted New Zealand Cricket to start a review of the team's performance but the body has ruled out sacking captain Daniel Vettori. NZC chief executive Justin Vaughan said the 0-5 ODI loss after a 0-1 Test defeat to India within weeks of an embarrassing one-day whitewash against Bangladesh has led to concern about the team's progress just a couple of months before the World Cup. 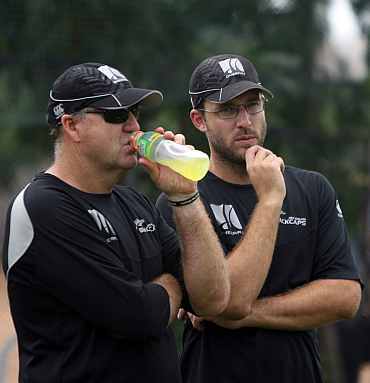 But Vaughan dismissed suggestions that the inspirational Vettori, who has been leading the team since 2007 and even doubled up as coach for a brief period, would lose captaincy because of the twin debacles. "I wouldn't have thought so," Vaughan told New Zealand Herald. "We need to go through a proper review and talk about what options there are to help the side improve, but I'd be hard pressed to believe the captaincy would be one of those issues," he said. Vaughan is planning discussions with team manager Dave Currie, Vettori, batting coach and selector Mark Greatbatch and performance director Roger Mortimer. Vaughan said although changes would be made to the team if necessary but given that the World Cup is not too far away, too much tinkering could backfire. "If we can see a clear case for that (making changes) then it's something we would have to consider. But it is getting pretty late in the piece," Vaughan said. "The danger is obviously that significant change could sometimes be extremely unsettling. It doesn't mean to say you can't do it, but you need to go in with your eyes open," he added. 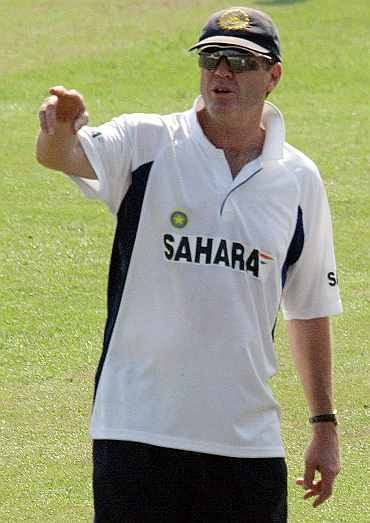 One of the options being considered is to offer a bigger role to former India coach John Wright, who is currently looking after the NZC's High Performance program. "There may have been some discussion on the benefit of him spending some time over there but then we realised it was pretty short notice so it didn't go any further," Vaughan said. "But tapping into Wrighty's knowledge should have been obvious. I understand people's desire to see him attached to the Black Caps because the New Zealand public loves John, he's had a proven international record and the Black Caps aren't travelling very well at the moment. "But we are comfortable with the process we went with around the appointment of Mark and the way the team is operating with Roger and the others," he added.